Lock Box on Water Spigot. 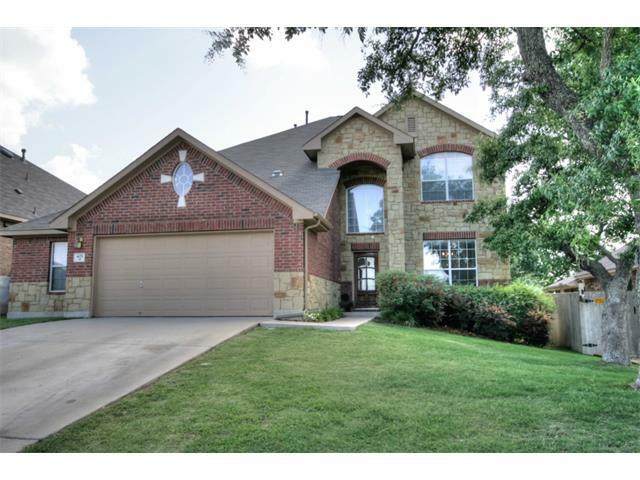 Upgraded Leander home Gorgeous Floor Plan located in highly sought after Vista Ridge Neighborhood. Exemplary School District. Private Backyard, Open Kitchen with Lush Granite Counter Tops. Stainless Steel Appliances. Big Game room for entertaining and Theatre Room with Surround Sound System. Huge Master with Sitting area, double vanity, and jetted whirlpool. Bonus room in Master.